You guys! The day has come. My first no makeup photoshoot, and I must save its a little nerve wracking. I have always been self conscious of my skin. Id pack on makeup just to make a trip to the gas station or grocery store, in fear of running into someone I knew. Especially now that i’ve had two kids and am getting into my late 20’s, my skin is not looking so great these days. I swear one day I woke up and aged 5 years. I suffer from blotchy red skin, and periodic cystic acne around my chin. It can be so frustrating sometimes, especially when i’m wanting to feel confident at an event or even meeting up with old friends. So, why am I doing a no makeup blog post? Well, recently I discovered something that gave me a little boost of confidence and made me feel beautiful in my own skin. No makeup needed. I’ve been using Vine Vera Shiraz products for a couple of months now, and I absolutely love it. I tell my husband its like a face lift in a jar. My skin feels more smooth, tight, and vibrant all day long. 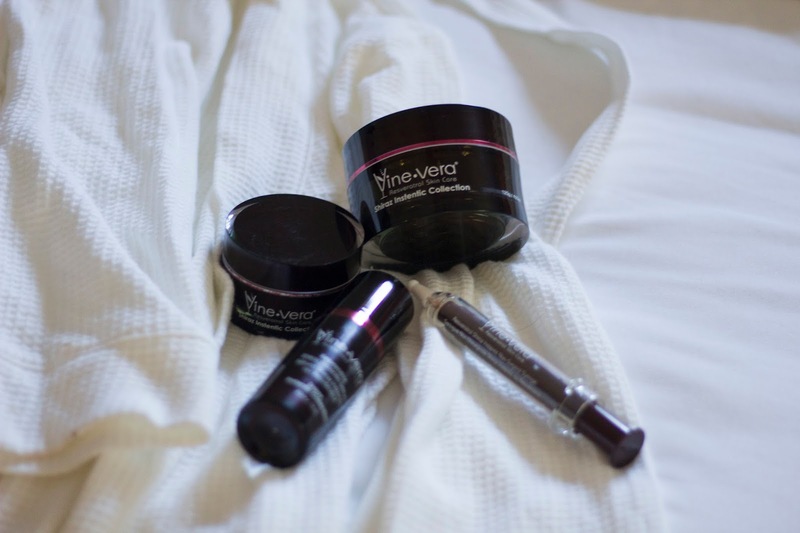 The key ingredient in Vine Vera is Resveratrol; which is found in the skin of grapes, and has amazing anti aging benefits. I use this line on days I know I want my skin looking flawless, and am trying to let every last drop count. Yes, it’s that good! My favorite product from this line is the Shiraz Syringe and Shiraz Facelift. 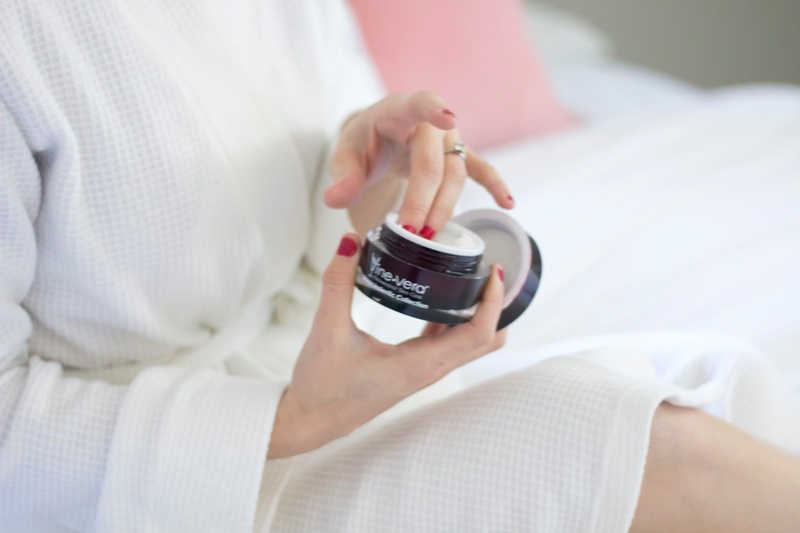 It instantly smooths away wrinkles for a flawless look the entire day. Im obsessed. If you want beautiful skin for the new year, I would absolutely suggest this line. It makes the perfect gift for the holidays, and is something your loved one will be sure to love as well. Trust me, your skin will thank you! Thank you for sharing! You are gorgeous too! Today I have been in the same outfit from the gym and no makeup on! It feels so good to be natural sometimes (actually I am sporting this look most of the time)! I should be more motivated like you to get dolled up!